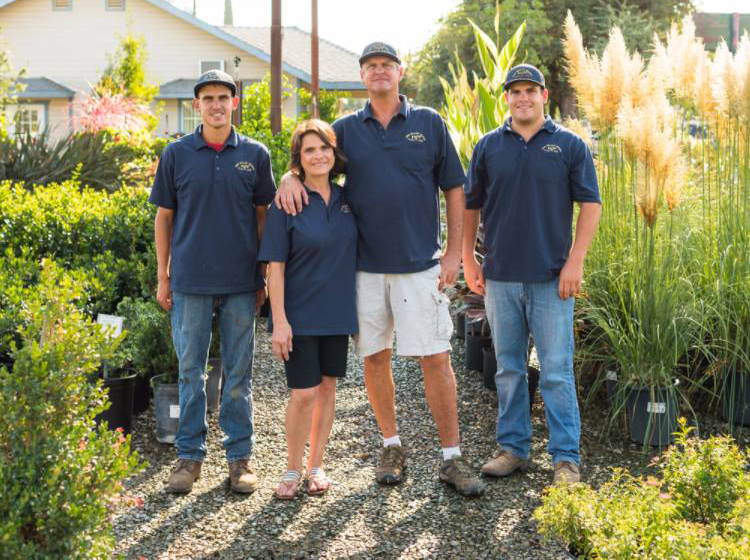 Family owned and operated since 1989, Mid Valley Trees (MVT) is a One-Stop-Nursery specializing in superior landscape trees and perennial shrubs for home gardeners and landscape professionals. Initially specializing in high quality trees, MVT became an industry leader by consistently producing top quality stock with strong central trunks and healthy well developed root systems. Expanding to meet the needs of customers who also wanted superior grown landscape plants, MVT now applies the same high standards to perennial shrubs. Truly a one-stop-nursery, MVT offers expert personalized service including plant selection, soil amendments and custom delivery. Located in Tulare County in the heart of California’s Central Valley. The region is noted for its cold-air basins, thermal belts and long and warm growing season. An ideal location for testing disease resistant cultivars and cutting edge hybrids, MVT proudly offers the highest quality selections on the market to landscape professionals and home gardeners alike. Best customer service and excellent plant selection and quality!! After going to MVT, I would never consider buying trees anywhere else! They have a huge selection of trees available in 10-15 gallon tubs or 24-36 inch wood boxes. We were looking for a couple shade trees and we were met with a kind, knowledgeable staff who really helped us find what we were looking for. We opted for trees in 24 inch boxes and we got home with well established trees that are already providing us with decent shade. For the quality of tree we left with, we got a great price! They also have a large selection of plants and shrubs that are well cared for and beautiful. We didn’t leave with anything other than trees but I definitely wanted to! Great people and great trees and more! Great nursery. The men there are knowledgeable and willing to take the time with us as we design our new yard. We would highly recommend the nursery to all of our friends. So friendly and the most knowledgeable nursery I’ve ever been to, gave us such a wide selection and walked us around and showed us all the plants that would be best for our yard. I couldn’t be happier! Thank you so much!